Get it on the AppStore, for your iPhone, iPad, and iPod touch. You can check and re-process : it's just one touch away ! Once an evaluation is done, you have the occasion to insert back previous calculation results at the current cursor location, by touching them in the list... you can also touch previous requests, so you can edit them, cut or paste parts of the expression, and ask for a new evaluation. 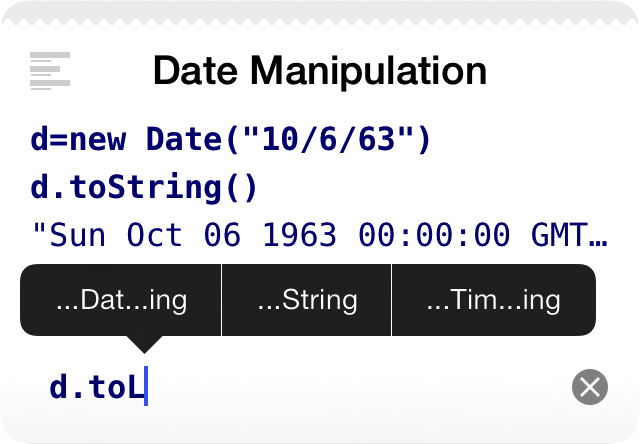 For more complex operations, Worksheets can use so called "variables" : these are names you give to label expressions, the way you like, so you retrieve their values easily. Thanks to its automatic completion system, Worksheets lets you enter long characters sequences with one simple touch. 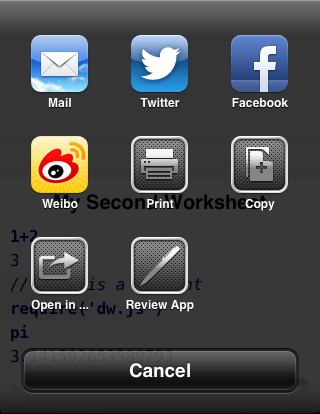 The device classical menu appears, considering the history and the nature of the expression being evaluated. To optimise the space offered by the display, only the characters disambiguating the input effectively are shown on the display. Soft keyboards were eventually not designed to enter mathematical expressions. 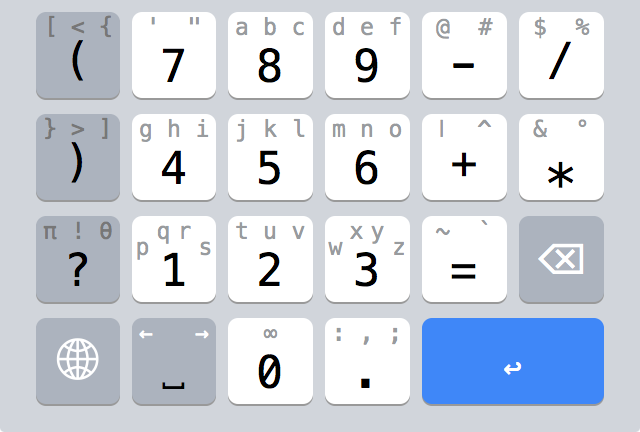 For example, a simple A=7*(B+3) requires 20 touches on the original iPhone keyboard. The keyboard of Worksheets uses a new technology that only requires 8 touches for the same entry : you save 60% of your time. For example, to enter the digit '3' on the '3' key, touch it. To enter the letter 'w', Touch And Go immediately to the left, slightly up. To enter 'y', Touch And Go immediately to the top, slightly right. Uppercases (or some alternate characters) are available going in the opposite direction. For example, to enter 'Y', Touch And Go immediately to the bottom, still slightly right. Worksheets knows a lot of operators and functions, and is ready to extend itself, with your own functions (a bit like you extend the power of Excel by writing your own formulas). Worksheets runs on all mobile devices from Apple (except the Apple Watch). Worksheets runs on devices currently in sale, but also on their previous generations. Worksheets is optimised for the latest version of the operating system (iOS 10.2) and still works with previous versions (iOS 9.3 and iOS 8.4). 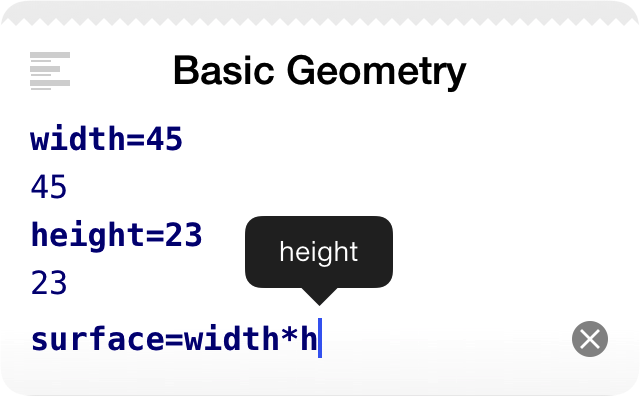 Switch easily from one worksheet to the other, by touching its name in a simple list. 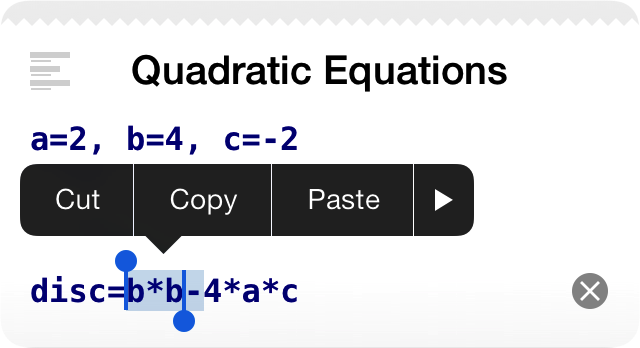 Add one worksheet by clicking the standard Add button. 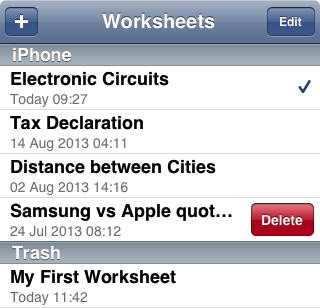 Delete one worksheet by a classical finger swipe on its name. 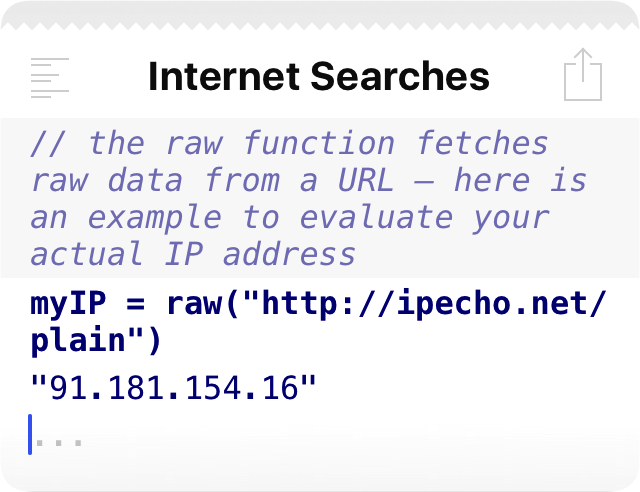 Each worksheets retains its context, hopefully, libraries are cached globally. When printing and sharing, the entire content is delivered (even for long lines appearing truncated on screen).